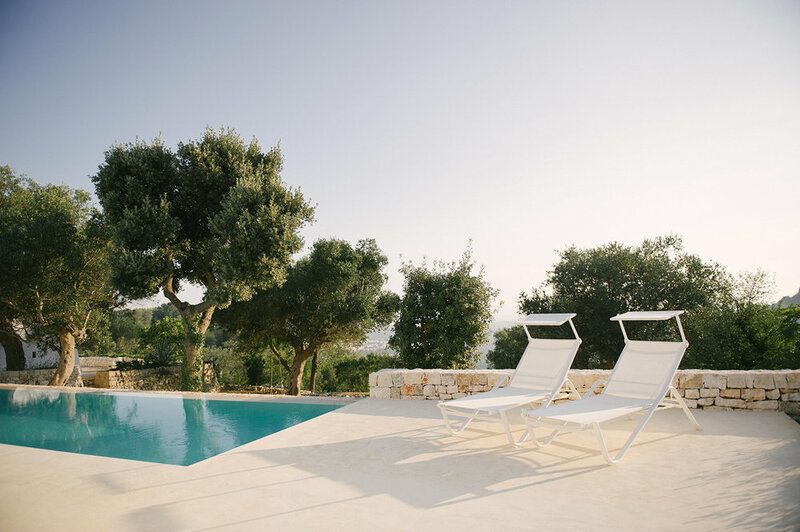 Located in the idyllic Puglian countryside just minutes away from the Adriatic Sea, Trullo M sits perched on a hill with 180 degree views extending down the valley all the way to the azul waters. Surrounded by olive trees and stone walls, this 4 bedroom home is newly renovated, respecting its original design while updating the space with all the high-end conveniences. The addition of extensive terraces creates endless areas to enjoy the space, the most obvious choice on a sunny day being near the 12m infinity pool. 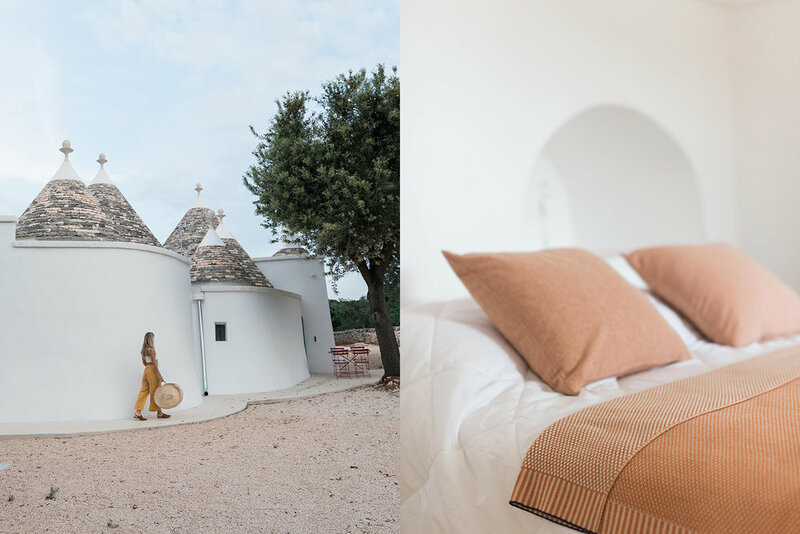 Trullo M offers an authentic trulli experience with a luxurious twist while being ideally located to explore the magical land of of Southeastern Italy and its many cliff-side villages, stunning beaches and white cities. Simple, but refined in its decor, the white walls and soft stone floors are complimented by the perfect mix of new and vintage pieces. The main house consists of 3 bedrooms, one with a king bed + ensuite, another with a queen bed + ensuite, and a third room with two bunkbeds. The external building has a queen bed with ensuite bath. 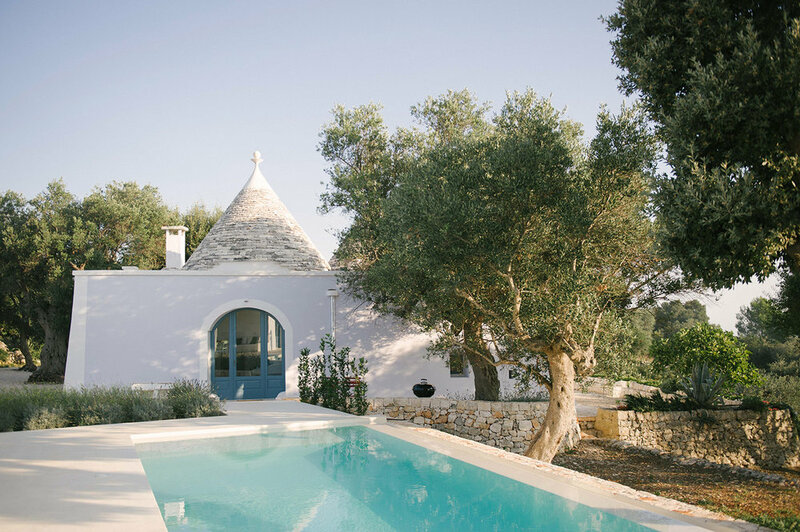 This trullo home is a beautiful example of the traditional architecture of to this area. 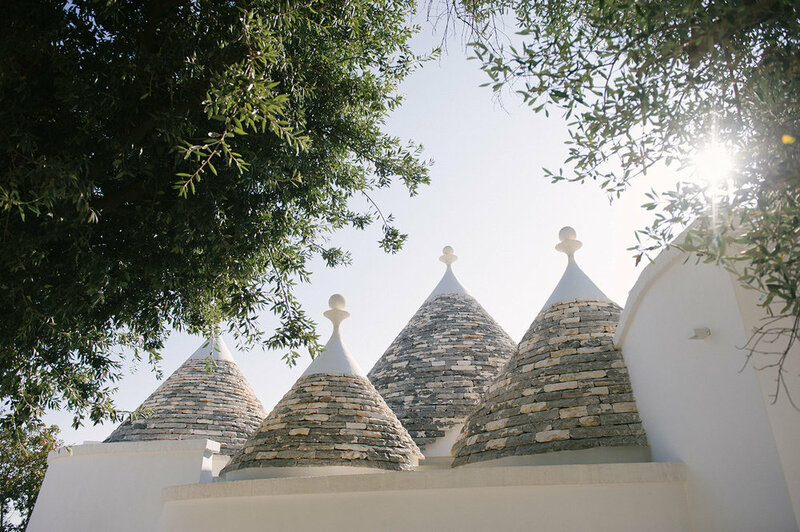 The trulli style homes date back to the 16th century and are built using dry stone masonry. They are found all throughout the area and it's really incredible to be able to stay in a fully restored one! 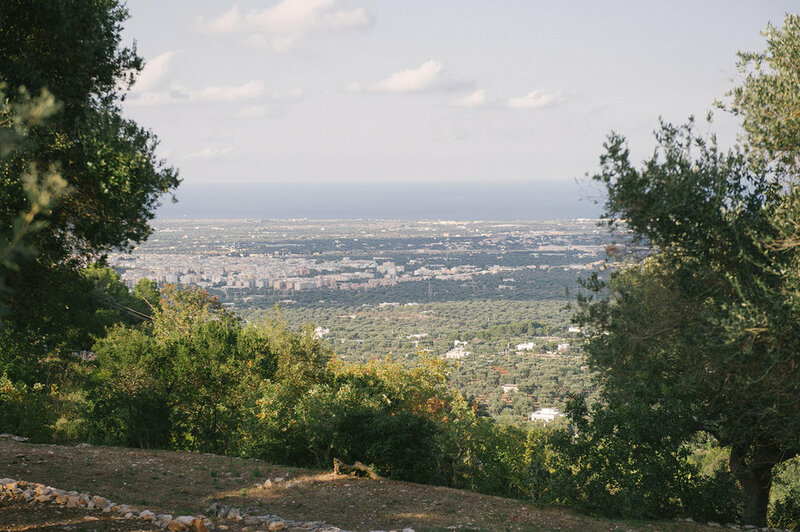 You can enjoy sweeping views of the mountains (filled with other trulli homes) and see all the way to the coast. 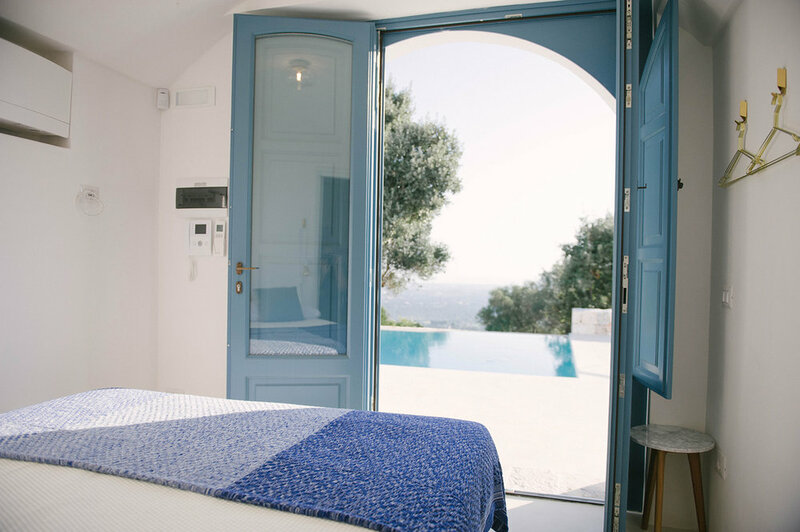 The location is ideal for taking day trips to some of the most beautiful areas of Puglia - Polignano a Mare, Ostuni, Alberobello, Monopoli and more! Rates start at $234 for low season. Non smoking, no pets, no parties. Rent a bicycle in Fasano to explore the beaches. Visit the port town of Monopoli (21km) known for its Baroque Monopoli Cathedral. Polignano A Mare (28km) is built on an ocean cliff with lovely beaches and an old city centre. Cisternino (10km) boasts a small, charming old town centre that has remained virtually intact for centuries and is famous for its barbecuing butchers! Alberobello (15km) is a UNESCO World Heritage site for its unusual districts of trulli and is fun to explore by foot. Martina Franca (12km) has a picturesque town centre with white-washed winding lanes ornamented with baroque fantasies and is known for its capocollo, a type of cured ham that is the pride of the town. 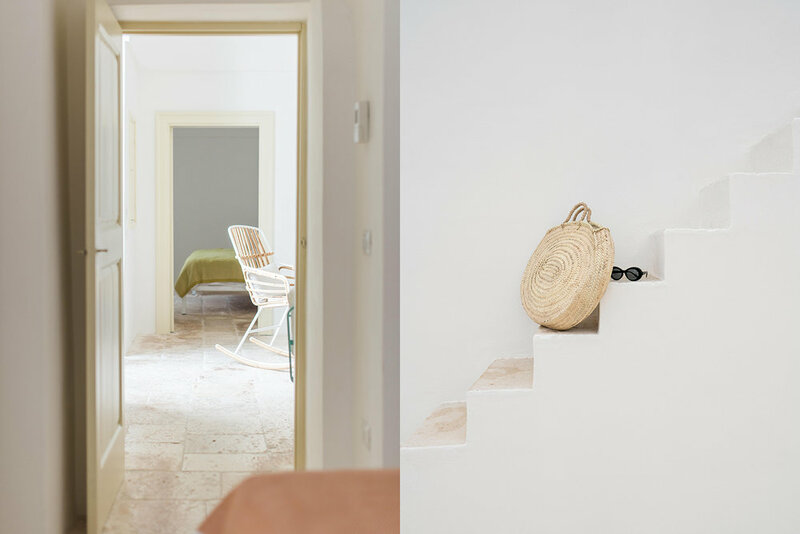 The infamous white city of Ostuni (35km) perched atop a hill is a must-visit with its maze of alleyways, staircases and arches, the white buildings dotted with bright doors and pots of red geraniums. Visit their website and instagram @trullo_m.